This service aims to provide support and information to individuals and families who seek the support of the service for different reasons. This service aims to offer a constant and consistent social work support service with the aim to out-reach to service users who identify at LGBTIQ, their families and friends. For an appointment email us at support@maltagayrights.org or call +356 7943006. The Youth Group in Malta is facilitated by the Rainbow Support Service staff and is hosted at YouthHub, Aġenzija Żgħażagħ St. Joseph High Road, St. Venera. The service is open twice a month every 1st and 3rd Friday between 17:00 and 19:00. Details are available on our facebook page. 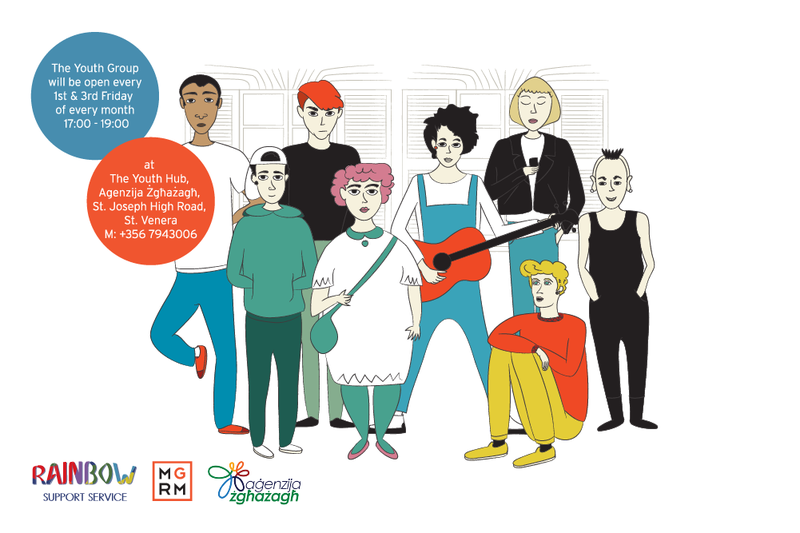 This project brought together LGBTIQ young people and parents of LGBTIQ individuals to draw up an information booklet aimed at LGBTIQ individuals and their parents. One part of the booklet aims to provide information for LGBTIQ individuals who are exploring their sexual orientation and/or gender identity and gender expression, coming out issues and searching for general information on support and legal structures. For the first time, the booklet also addresses intersex persons.